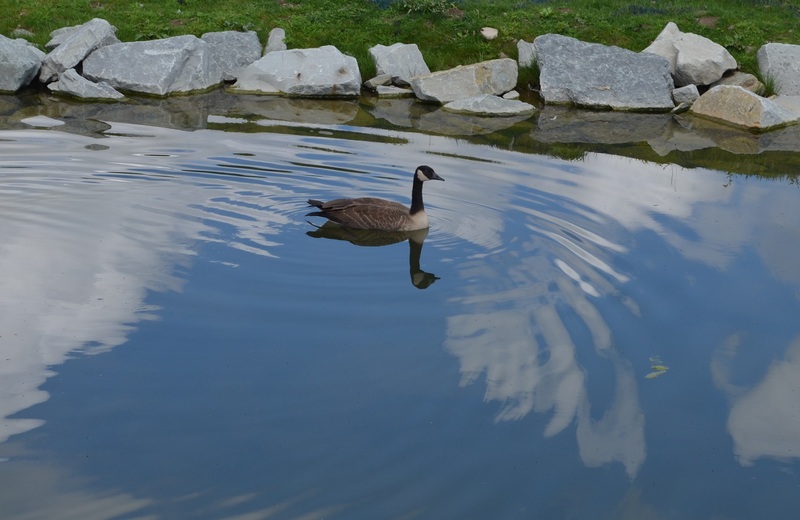 I have a bunch of neat geese pictures from the summer so I’m using a few of my favorites. 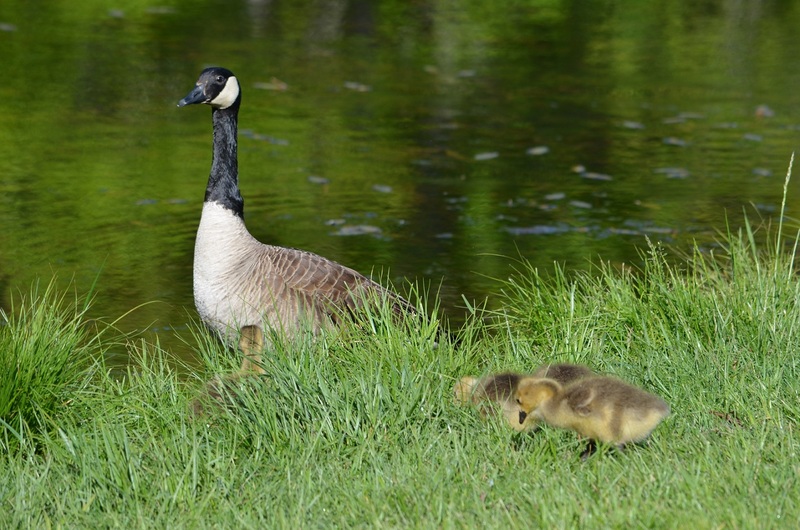 There is a nature center by my parents house and a pair of geese raised a brood (is that the correct term?) there. 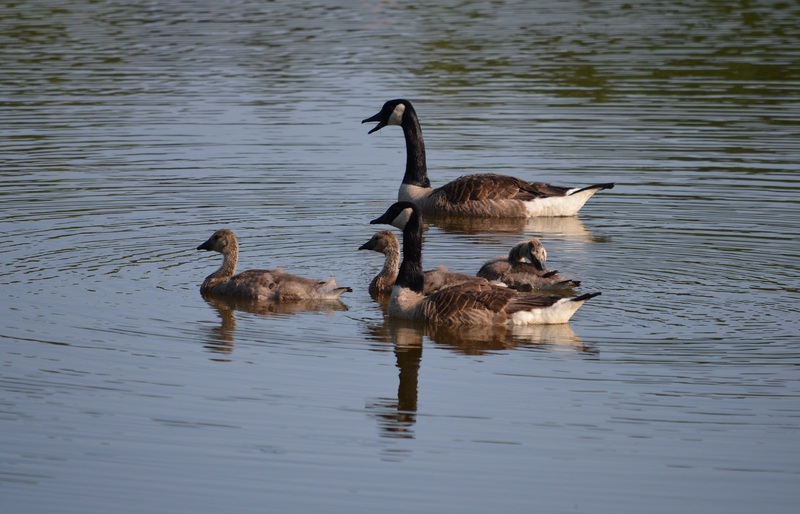 These are wonderful geese photos. I like the babies. Thanks for playing. I love that 2nd picture. What a perfect capture of the proud parents parading the little ones 🙂 I’m rather fascinated by the blue-green of the water. 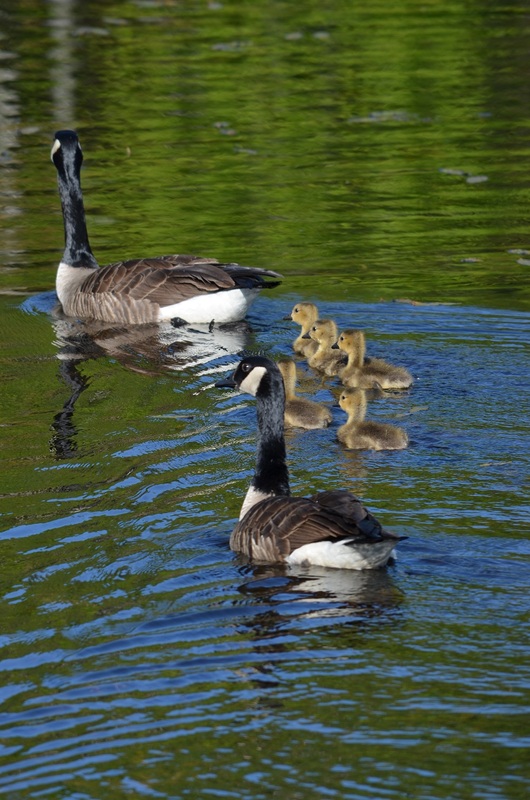 Lovely geese – I adore those little ones and the beautiful water! Congrats! Thanks! I was lucky to have my zoom lens on me that day and that they let me get as close as I did!